National Signing Day is tomorrow. Recruits nationwide will decide which college they will attend, and teams’ recruiting classes will begin to solidify. The Ducks already received signed letters of intent from five players, including five-star defensive lineman Canton Kaumatule, so this class is shaping up to be one of the best in Oregon history. 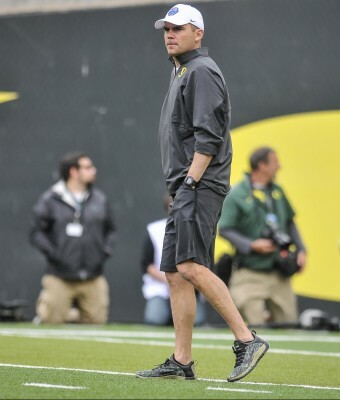 Mark Helfrich has shown the ability to land solid recruiting classes during his short tenure. 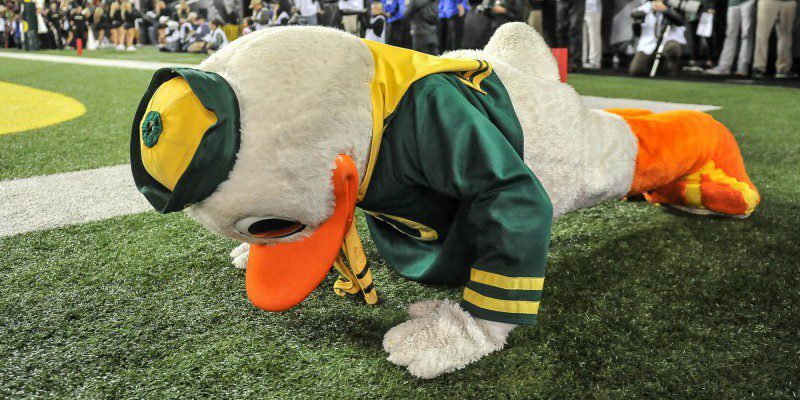 Currently, the Ducks have the No. 14th-ranked recruiting class according to ESPN; this is the highest ranking since 2011 (when the Ducks were also No. 14 with the help of singing day surprise De’Anthony Thomas). But if you ask me, this year’s class is much better. Oregon has eight four-star recruits, one five-star recruit, and has seven players ranked in the ESPN 300 in 2015. To compare, the 2011 class had nine four-star recruits but only five players ranked in the top 300. Much has been made of Canton Kaumatule and Taj Griffin, the two highest rated Oregon commits, but this year’s class is full of playmakers. Wide receiver Alex Ofodile is a key get this year. The Missouri native is the No. 10 receiver according to ESPN and stands at 6-foot-2, which gives the Ducks some needed height at the position. Ofodile was the Missouri Offensive Player of the Year this season with 96 catches, 1,611 yards and 15 touchdowns, and his highlight tape doesn’t take long to impress. Between him and Jalen Brown, who redshirted last season, and Oregon should have a good receiving corps for the next few years. Next up is a pair of athletes in Kirk Merritt and Malik Lovette. We’ll start with Merritt, who is the No. 10-ranked athlete according to ESPN. Merritt is the Nike SPARQ National Champion, an event that tests athletes from across the country in a series of athletic drills, and his vertical leap of 45.8″ had the Internet buzzing. Merritt was considering Oregon, LSU, Alabama, Texas A&M and Auburn, but made his decision to be a Duck official yesterday afternoon. He is a versatile weapon who can play either receiver or running back, much like a young Josh Huff, so Oregon seems to be a perfect fit for the 5-foot-11, 203-pound Louisiana stud. We should be hearing his name quite often in upcoming seasons; remember the name Merritt; mark my words. The other athlete is Lovette, who ranks No. 17 according to ESPN. He is another dangerous speedster who can play multiple positions, adding more versatility to an already talented group of Ducks. Charles Nelson saw playing time as a true freshman last year at running back, wide receiver and returner, and Lovette could play a similar role. He is the more unknown of the two athletes, Merritt being the SPARQ National Champion and all, but it’s often the unknown players who give us the biggest surprises. It’s uncertain which recruits will play as freshman, which will redshirt, and which will transfer, but what we know right now is that this Oregon recruiting class is the best in recent memory. With signing day coming tomorrow, stay tuned to FishDuck.com to see what other recruits join the 2015 class.